According to Google, this served unlimited tapas, or Spanish snacks or appetizers. After settling down, I was given the menu where for 24.50 Euros I can take advantage of their All You Can Eat Tapas. The mechanics are simple: you get French bread with herb butter, tapanede, mackerel mousse, and garlic sauce. 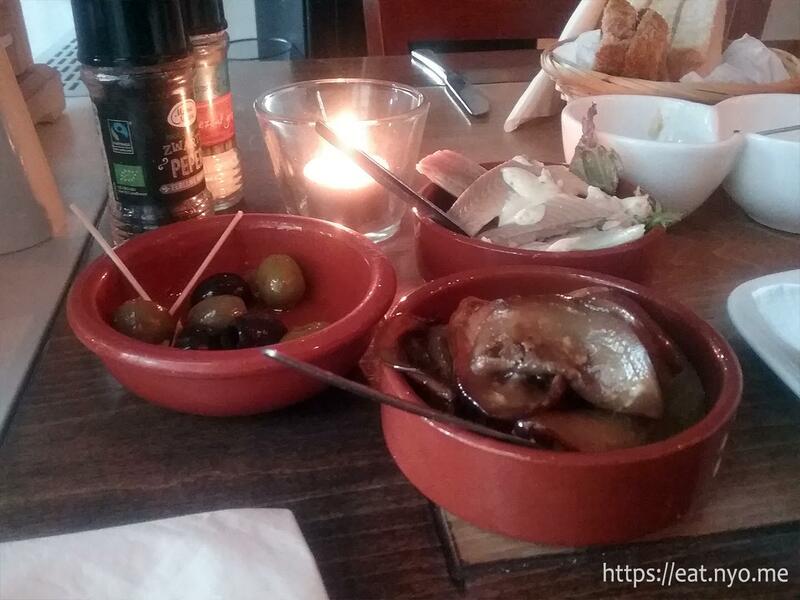 Then, you pick up to six tapas from a wide selection of hot/cold fish, meat, and veggies; starters; or other pikas. 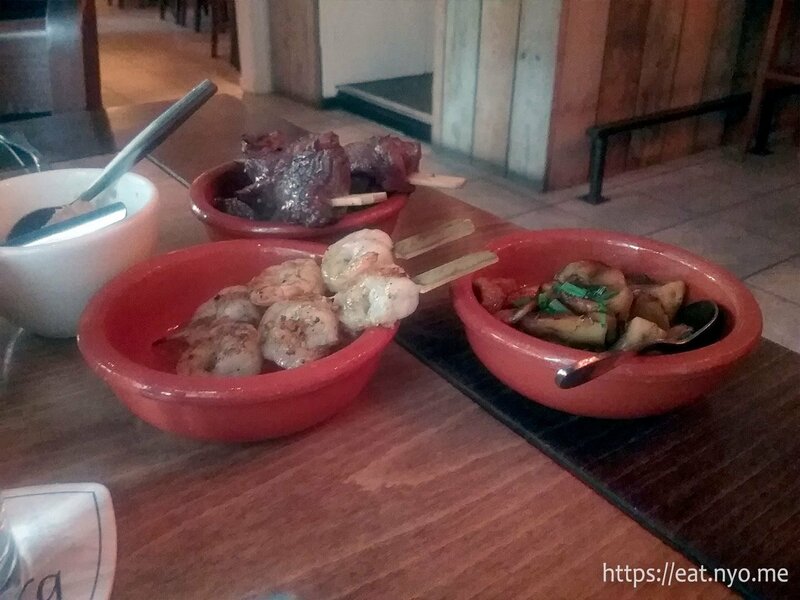 For the first round, I got their olives, smoked trout fillet, marinated eggplant, shrimp skewer, steak skewer, and mushrooms in herb butter. 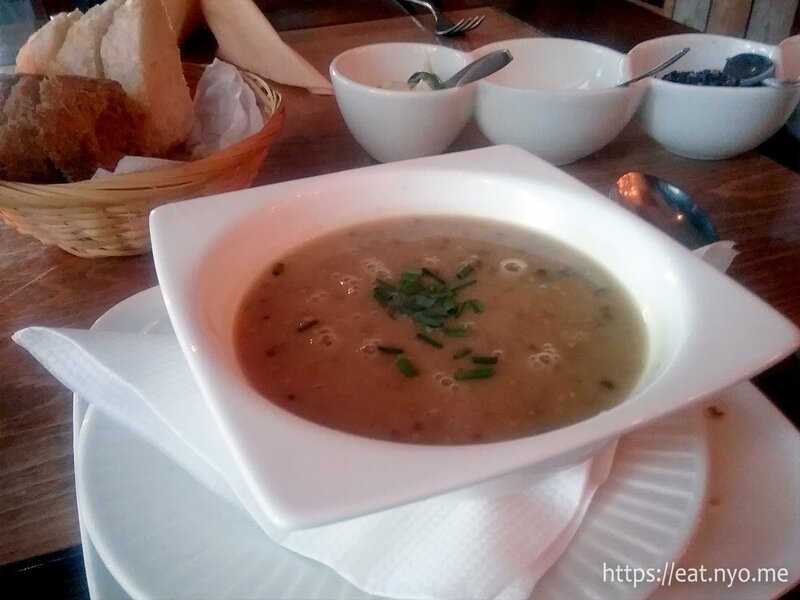 In addition, I was offered their soup for the day which I obliged. I would’ve paid for the included French bread and spreads. Not 24.50 Euros, mind you, but this was definitely worth paying for. While the bread was fine, the spreads were quite enjoyable. Since I love olives and capers, the tapanede, which was basically minced up olives and capers in olive oil, could’ve been a meal in itself for me. The creamy herb butter was also fantastic, especially for butter lovers, as I am. The garlic sauce was pretty garlicky, but didn’t have any overpowering property some offending garlic sauces have. I didn’t prefer the mackerel mousse mostly for the mouthfeel where it seems to leave some particles on the tongue and palate but it okay taste-wise; quite smoky. The soup of the day was a mustard and smoked salmon soup. It was quite earthy and really had that mustard flavor. The firm bits of smoked salmon was a nice salty-smoky contrast to the pool it swam in in terms of both taste and texture. Quite nice, overall. Now, for the “mains”. From the left, clockwise, we have their olives, smoked trout fillet, and marinated eggplant. I’ll spoil that my favorite dish is here. You might guess the olives, which is a good guess as I definitely enjoyed it. There’s variety here in both color, green and black, as well as having a pit or not. I wished the pits were gone overall as I didn’t find them to contribute anything aside from the occasional annoyance. The trout was okay too—it was smoky as advertised and there’s actually plenty here. I would’ve been satisfied with a single fillet just to try other things, but there were four. It was topped with some of the same garlic sauce used for the bread and it actually worked quite well. My favorite is the marinated eggplant. I’m not sure if it’s because of the marinade or the eggplant itself, but there’s an innate sweetness that’s Goldilocks “just right” for me. And when I say that this is my favorite, I meant not just among these three, but for all that I’ve tried here. I would’ve ordered this again if not for wanting to try other stuff. Pictured here, from the left, clockwise, are the shrimp skewers, steak skewers, and mushrooms in herb butter which all arrived while I was midway enjoying my soup and trout. My second favorite this night is found in this group. Is it the shrimp skewers? Sure, they were quite scrumptious, and seasoned nicely, with a touch of pepper that doesn’t overly offends me. However, it’s something I’ve had before locally, nothing too different. Is it the steak skewers? Sadly, this might have been the worst choice of the night. While plentiful and cooked “right”, medium rare, these tenderloin cubes were quite chewy and a bit on the bland side. I suggest slicing them up instead of putting an entire cube in your mouth. Use some of your bread spreads or seasoning to taste. Yes, my second favorite is the mushrooms. That’s two for two for veggies. This time, I think it’s because of the herb butter, which was fully absorbed by the delightful meaty-savory mushrooms, making this dish a wonderful treat for butter or mushroom lovers, which I happen to be both. After a bit of contemplation, my second round of orders included marinated shrimps, Manchego cheese, crablegs, and boquerones. Here be the marinated shrimps (front) and Manchego cheese (back). Served cold, the shrimps were fine, a bit on the tart, citrusy side, but overall still scrumptious. The Manchego cheese was quite firm, yet still a bit soft and sticked to my teeth. It had a bit of a tangy texture and not too sharp. It was served with pear marmalade, which actually worked quite well. Above is the crablegs (left) and boquerones (right). I’ll start with the boring one, the crablegs. It’s similar to what you can get at places like “Sam’s Everything on Stick” at your nearby LRT or MRT station. Crabmeat is wrapped on a small crab claw, deep fried. I guess the only major difference is the amount of meat and my gut feeling that they used actual crab meat here. The more interesting boquerones, which is essentially a vinegared fish dish, and in this case, anchovies, was very sour and very salty. Basically, it’s pickled anchovies. Maybe the brine here is just vinegar, and it relied all the saltiness from the anchovies. I’d normally enjoy this dish, but only in moderation. The amount of fish here is similar to the trout, and finishing it all was quite the chore. To mitigate the saltiness, I opted to order two more veggie dishes, namely their marinated carrots and mushrooms with garlic and pepper. While the mushrooms were also delicious, I prefer the herb butter version. The marinated carrots were also inferior to the eggplant, and only had a faint semblance of sweetness, which actually surprised me, as our local carrots might be sweeter. The main problem was that I was alone. 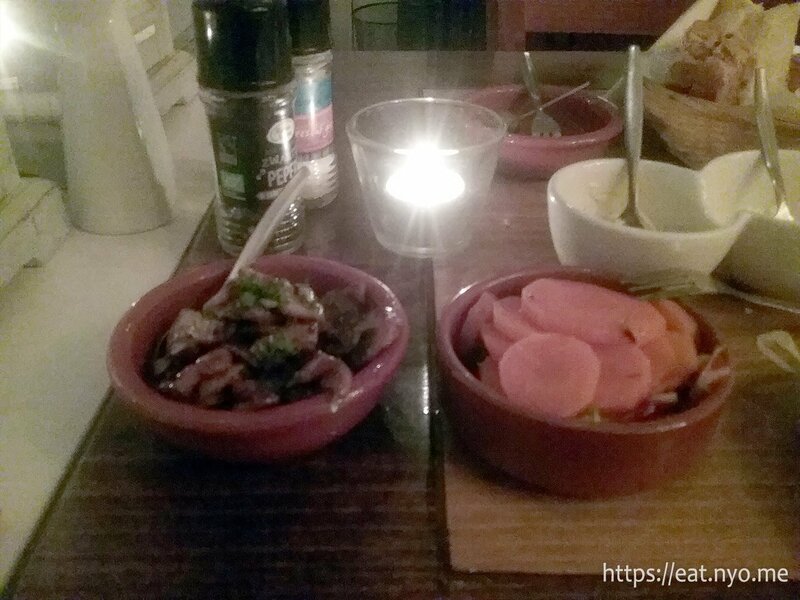 If I had beloved with me, we could’ve probably tried twice the number of tapas I was able to. If there were even more people, the varieties increase. 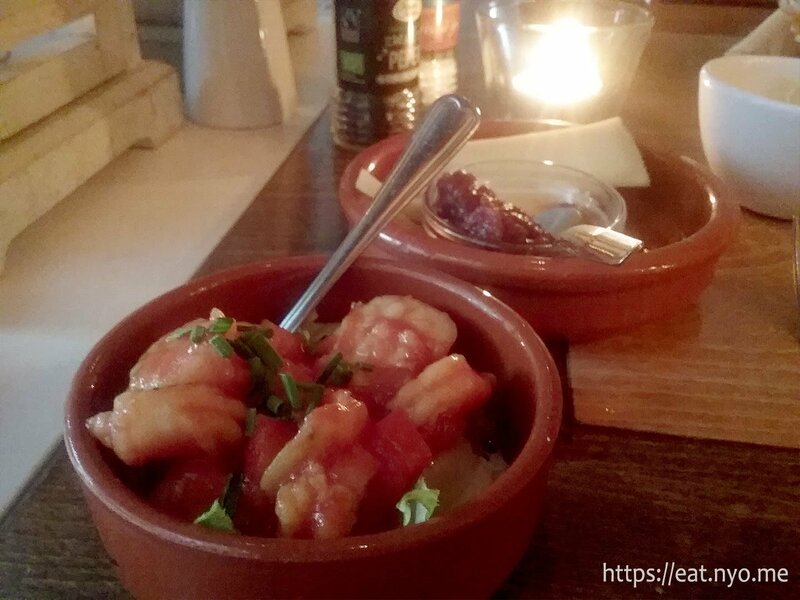 With over fifty various tapas, a table of four or five should be able to try everything. Still, I was quite pleased with what I tried. What surprised me the most, was the veggies were superior to the meats. In retrospect, I know this isn’t really traditional Dutch food. But, as I’ve said earlier, aside from haring, I didn’t really have anything in my Netherlands gastronomy bucket list. And I thought, since I’m in Europe, having Spanish food here will be more genuine than what I’ll probably get back home. Also, this has opened my eyes to tapas and how wonderful the experience might be if you’re not alone. I’ll be sure to look out for local tapasbars that serve the same offerings. 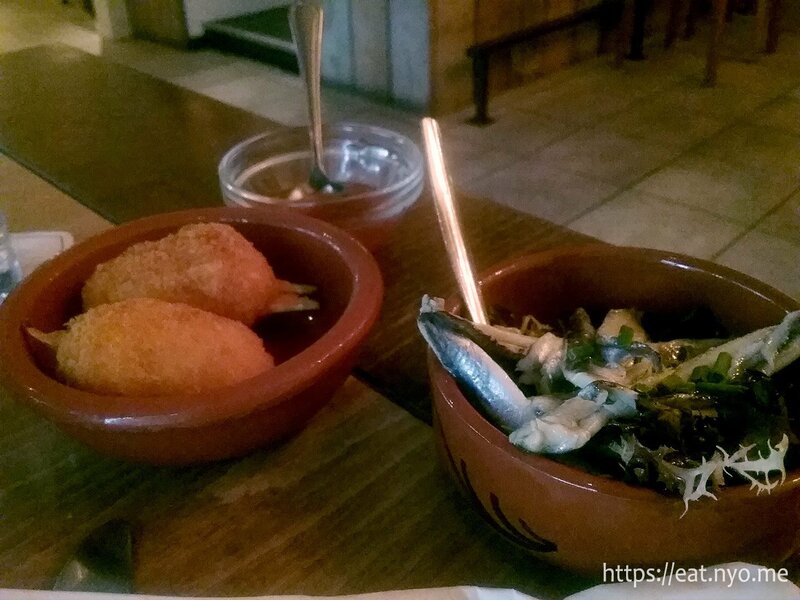 As my first tapas experience, Restaurant Tapasbar Toledo was an excellent addition to my gastrono-memories. 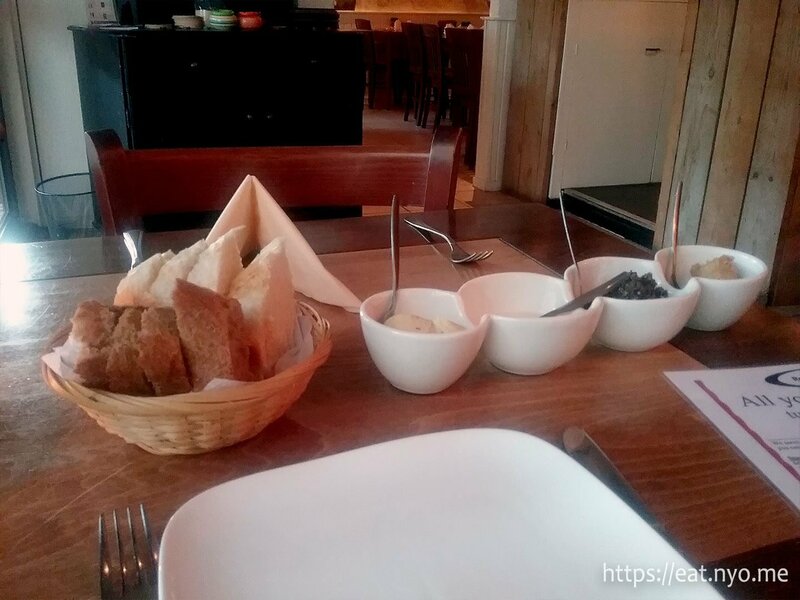 This is part of a mini-odyssey for my food adventures in the Netherlands. You can browse via this label for more. Recommended for: Dates or groups. Not recommended for: Solo adventurers. Smart nomnomnom tip: You can let the kitchen surprise you with the tapas selection.